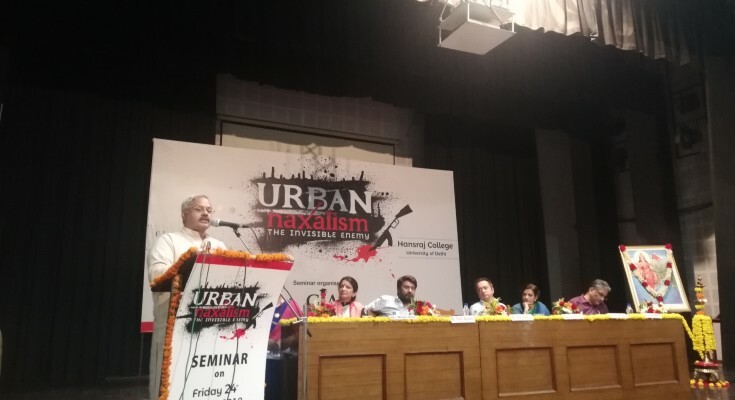 A seminar on ‘Urban Naxalism- The Invisible Enemy’ was conducted in Hansraj College on 24th August by ‘Group of Intellectuals and Academicians (GIA)’. The seminar was attended by 500 people in a packed auditorium. It had filmmaker Vivek Agnihotri as the chief speaker, ABVP national organising secretary Sunil Ambedkar as chief guest, and Supreme Court advocate Monika Arora as keynote speaker. The seminar started with a choir singing ‘Vande Mataram’ and the ceremonial lamp lighting by the guests. A representative of GIA highlighted the motto and the achievements of GIA since its inception. Mr. Abhijit Majumdar, the editor of Mynation.com, demanded that textbooks should start calling Mao as a mass murderer. He stressed that there should be revamping of education system and reclamation of space to set the right kind of narratives. He criticized Dr. GN Saibaba for his links with Maoists. Advocate Monica Arora, the convener of GIA was the next speaker in the lineup. 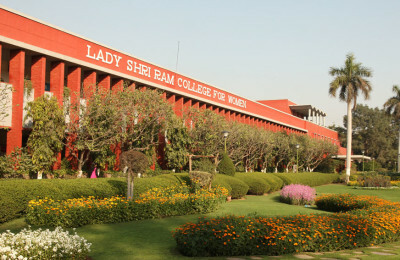 She condemned the events at the JNU campus on the night of 9th February. She discussed the poster of the same night. 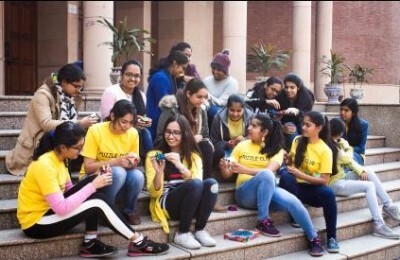 “Ek zor lagana hai, inko poora nikaalne keliye… Kerala, media aur JNU mein hi toh baaki hain (We need to use force to throw them out…Rest are in Kerala, media, and JNU),” she said. 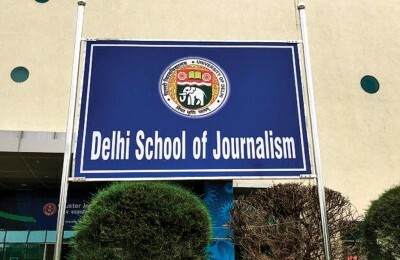 “Whatever happened in JNU in 2016 was problematic but one good thing happened — it exposed people with communist ideology hidden within the film industry, journalism, and universities. They had been working as sleeper cells” said Mr. Sunil Ambekar. Dr. A K Bhagi, President of the National Democratic Teachers Front in DU highlighted the cases where Naxalism has been included in the curriculum as social movements. “Islamist fundamentalist forces in the west and the communist forces in the east are trying to break India. After Independence, the minds of Indians have been colonised strategically”, said the chief speaker at the event, Mr. Agnihotri. He categorically highlighted that the idea of an empowered woman has been largely skewed by the left intelligentsia. He pressed that India will emerge as a superpower despite several challenges. One thing that didn’t go down well with the students was the act of not taking questions at the end of the seminar. Students were not given a chance to engage with the panelists. 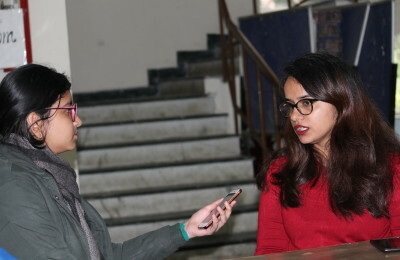 Mrs. Arora, who is the convenor of GIA, while talking to the DU Beat correspondent, highlighted the need of organising such seminars. She informed that GIA wishes to emerge as a questioning sane voice in a charged socio-political atmosphere. The seminar drew its curtain with National Anthem being sung by the audience together which was followed by high tea.